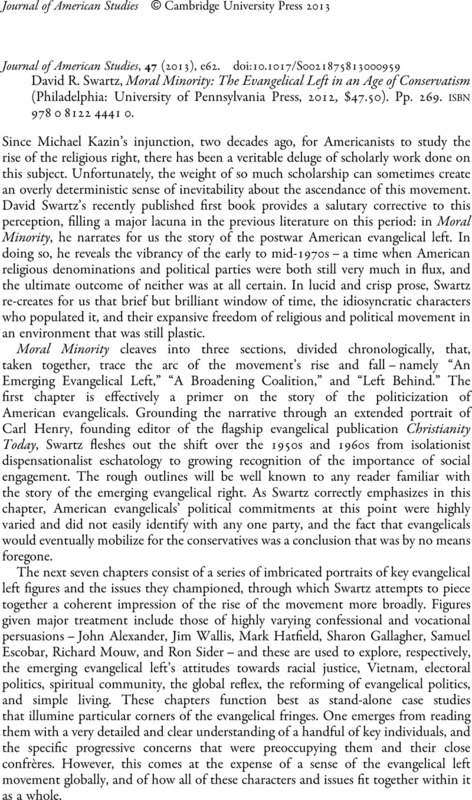 David R. Swartz, Moral Minority: The Evangelical Left in an Age of Conservatism (Philadelphia: University of Pennsylvania Press, 2012, $47.50). Pp. 269. isbn978 0 8122 4441 0.